The 10 Best Omelets in Nebraska! 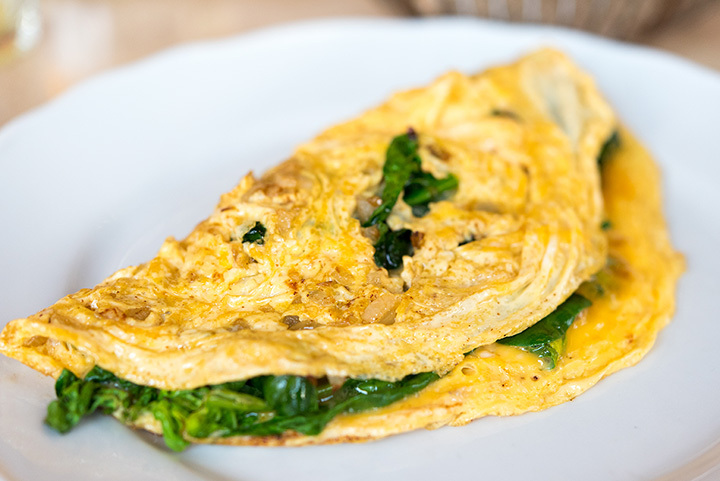 No breakfast is complete without a great omelet filled with your favorite ingredients. With all the classic breakfast joints across Nebraska it can be hard to choose! To help you start your day off strong with a hearty omelet, we’ve put together the 10 best places to get an omelet in Nebraska. At Duggers Cafe they have been serving delicious homemade breakfast for over 30 years! Here you will find some of the best omelets made from scratch, filled with only the choicest ingredients. Sin City Grill has many tasty and fresh dishes, but stop in early to try one of their omelets with unique and flavorful ingredients. There is a reason the restaurant is a favorite with the locals. A new restaurant in Omaha that is making a lot of noise, MAR Cafe has quickly made a name for themselves by serving up a blend of traditional American dishes with a mix of Mexican fare. Two experienced chefs, Jose and Arturo, have created a tasty menu with fresh and delicious omelets. Engine House Cafe is located in an old fire station built in 1900, and features the original wood ceiling and beams. Sit back and relax in this historic location while you enjoy a homemade omelet for breakfast. Locals know Bailey’s as one of the best spots to grab brunch because of the great food and casual atmosphere. They serve hot and homemade breakfast in a classic diner-style restaurant. Swartz’s Deli takes brunch to a whole new level by creating new and fresh dishes using top quality ingredients. Try their amazing Deli Omelet which is an omelet with corned beef, pastrami, cheddar and toast. At Tina’s Cafe you can find the most authentic down-home cooking around. Featuring all the staples of a classic diner, you can be sure their mouth-watering omelets will leave you satisfied. Keystone Kafe is the perfect little breakfast diner you’ve been dreaming about. Here you will find classic breakfast dishes and hot fluffy omelets served in an old-fashioned diner atmosphere. Stauffer’s Cafe and Pie Shoppe has comfort food perfected. Here you will find great homemade food served by super friendly and nice staff. Their made from scratch omelets are a hit with the locals. Virginia’s Travelers Cafe is truly a highway diner done right. A must-try experience that you won’t find anywhere else, and if you’re a fan of great omelets they serve up some of the best.